A further stretch of the A127 in Southend will soon shine bright with energy-efficient LED street lights. Streetlighting contractors will replace the street lights between Kent Elms and Cuckoo Corner roundabout from Monday for five consecutive nights. In order for the lights to be replaced, the highways will be reduced to a single lane between 8pm and 4am. The work is part of the Council’s £13.5m programme to replace all street lighting in the Borough. 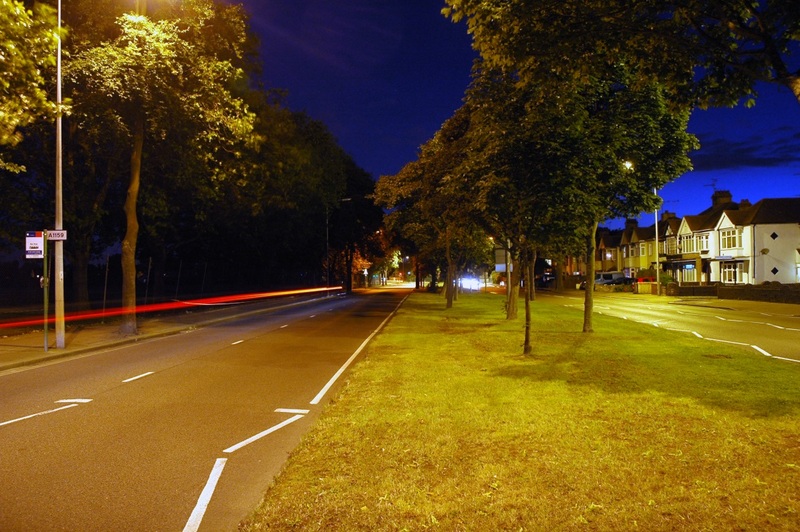 Not only are LED lamps more energy efficient, but they will also drastically reduce energy and ongoing maintenance costs, meaning that the Council can keep streets lit at night. The remaining section of the A127 between the Borough boundary and Kent Elms will be upgraded to LEDs before the end of March. In November 2014, the Council started replacing the Borough’s 14,000 street lanterns across its entire estate. But last year, the Council announced that the £13.5m project would be delivered faster thanks to the Council securing £5.1m central Government funding and agreeing a further £8.2m bespoke financial arrangement with the Green Investment Bank. The project was also extended to include all illuminated street furniture, such as lit signs, and replacing or refurbishing ageing street lighting columns. A new central management system (CMS) will also allow the Council to remotely manage its lanterns across the borough. Cllr Martin Terry, Executive Member for Public Protection, Waste & Transport, said: “Bringing this popular project forward is a win-win situation. The sooner we replace every lamp in the Borough, the sooner we can save money, reduce carbon omissions and provide residents and motorists with brighter, cleaner light. “Like all local authorities, we need maintain essential services with reducing budgets. However, we listened to local people and determined not to plunge our borough into darkness at night. Instead, we opted to invest in pioneering green technology that shields residents from an increased fear of crime and poorer road safety, which are often associated with turning the street lights out. The new low-energy streetlights will more than pay for themselves within their lifetime through energy savings while generating carbon savings for the Borough. The LEDs can also provide 100,000 hours of light, compared with just 15,000 hours for standard bulbs.